Perhaps my biggest news is there in the title – this week I had an appendectomy! It was all rather sudden, with me getting admitted to hospital on Monday after work, tested and operated on on Tuesday, then released on Wednesday. Now I’m recovering at home, doing some pottering around, and putting finishing touches to my upcoming epic fantasy The Saint’s Rise. I’ve got news on that after this – a whole slew of excelent deals I want to tell you about. 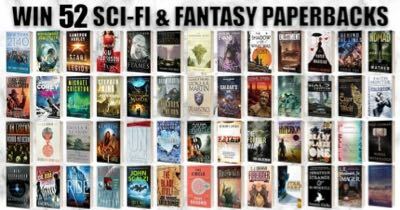 – This is your last chance to join the SFF Book Bonanza 52 novels competition, where you enter your email and stand a chance to get 52 classic sci-fi and fantasy novels in print format. If you’re a power reader this is great not only for all the books you get, but also because you’ll be getting newsletters from a bunch of authors (like me) letting you know about their latest works. If all those newsletters sounds like craziness – definitely don’t join up :). 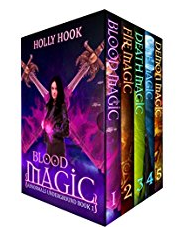 – Holly Hooke has a 5-book box set in her Abnormals series going for only $2.99 – the books?have great reviews, so if you like paranormal/urban fantasy, I think this is right up your street. 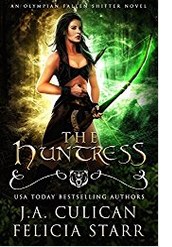 – Felicia Starr has her book The Huntress on sale for only 99cents, a brand new release already collecting strong reviews. It’s also paranormal/urban fantasy, about the goddess Artemis and a shifter. 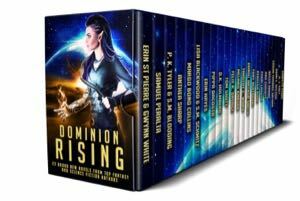 – Marilyn Peake along with a host of stellar sf and fantasy authors are still selling their mega-anthology Dominion Rising for the discounted price of $2.99 – it’s been called the Box Set of the Year, hitting the Wall Street Journal and USA Today bestseller lists. I can’t imagine it’ll be on sale for much longer, so if you didn’t get it yet, now’s the time. – J.T. Williams book Winemaker of the North, book 1 of the Saints of Wura series, is on sale for 99cents. It’s an epic fantasy that seems to have something in common with Alec Hutson’s Crimson Queen, telling in part the story fo how magic returns to the land. It has stellar reviews and is available at lots of different vendors. Amazon, Itunes, Kobo, Barnes and Noble. 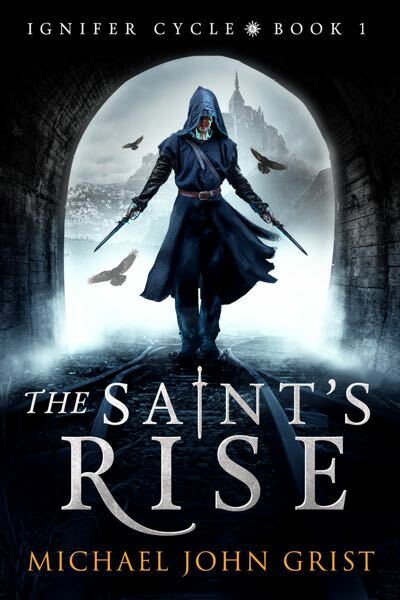 Finally, I have news on my upcoming epic fantasy, The Saint’s Rise. It is finished!! That said, there is still plenty of beta-reading to come (ARC Squad, you’ll have it within days). It is 160,000 words long. It is currently on pre-order at Amazon for $5.99, but I advise you to wait until Dec 15th, when it will be launched and discounted briefly to 99cents. Awesome, right? I’m really pleased. You may be interested to know that the tunnel and railroad images are my own photographs, taken from ruins in Japan. Next time I’ll let you know the blurb. Then it’ll only be a month until launch!